No hassle gate-ready e-ticket - simply download to your phone or print off! 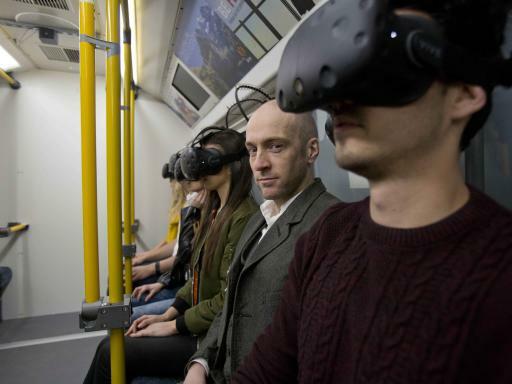 You can also enjoy world-class rides such as the UK’s only winged rollercoaster THE SWARM, experience thrilling physical effects and intense action on Derren Brown’s Ghost Train: Rise of the Demon. 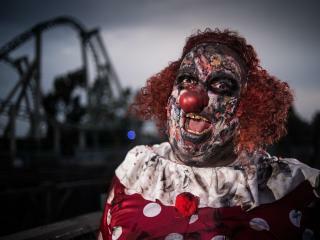 Brace yourself on Stealth, one of Europe’s fastest and tallest rollercoasters; make your way to the Safe Zone on The Walking Dead: The Ride and plunge the 100ft ‘beyond vertical’ drop of the movie themed coaster SAW-The Ride. 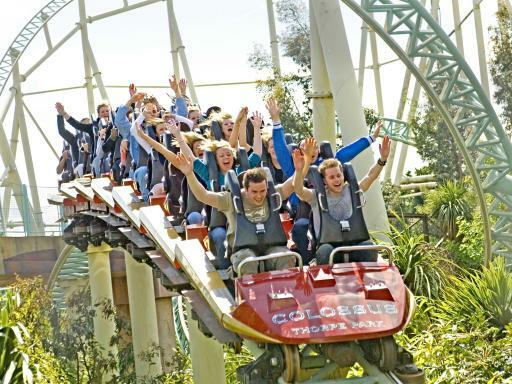 PLUS experience water rides like no other including the super-soaking Tidal Wave, Storm Surge and Rumba Rapids all set to guarantee the thrills and fun. Departure Location: Staines Rd, Chertsey KT16 8PN. 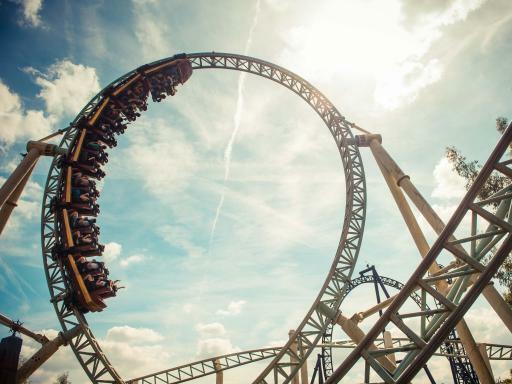 Experience a massive ten exhilarating inversions including a vertical loop, cobra roll, double corkscrew and the UK’s only quadruple barrel roll! Please note: footwear must be worn. 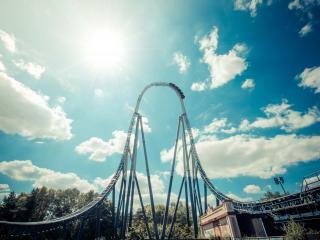 Please note: a chest size limit of 51 inches applies on this attraction. 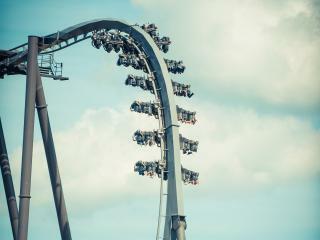 Take your one way ticket on a horrifying journey into the chilling depths of the unknown. 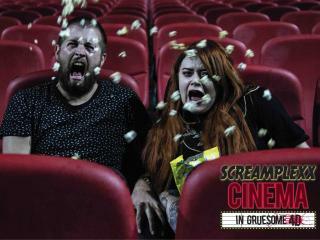 With intense live action and thrilling physical effects, the grasp of the Demon awaits. 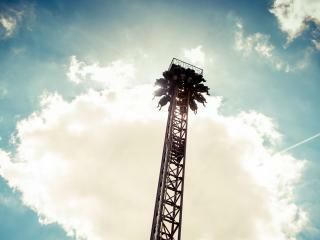 This attraction is not suitable for those under the age of 13, those who suffer from motion sickness, dizziness, psychological or neurological disorders. 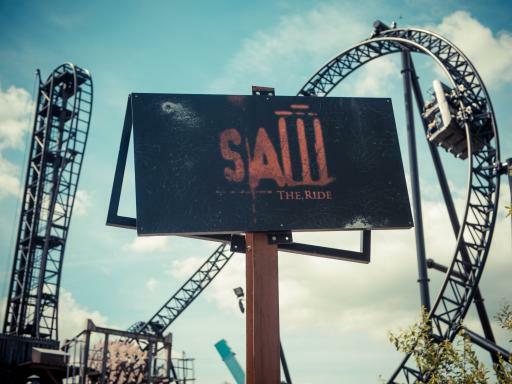 SAW – The Ride, the world's first horror movie rollercoaster as you experience a ‘beyond vertical’ drop of 100 degrees from a height of 100ft. Please note: a chest size limit of 51 inches applies on this attraction.You must be able to walk unaided for 25m to ride. Footwear must be worn. 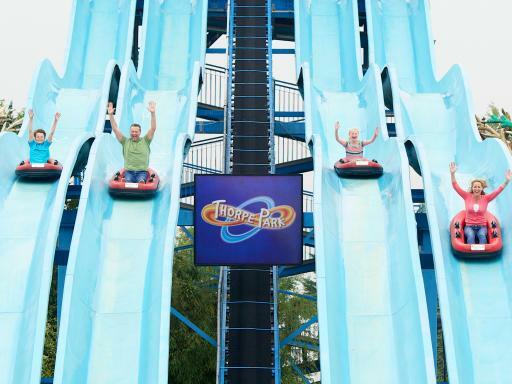 Experience a super-soaking splash as you plunge 85ft into the waters below on Tidal Wave. 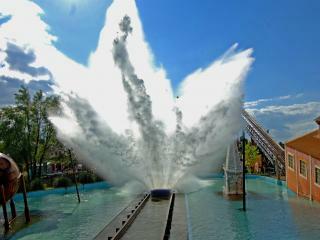 A drenching awaits you - and any bystanders not quick enough to escape the wave - on our wet and wild thrill ride. Footwear must be worn. 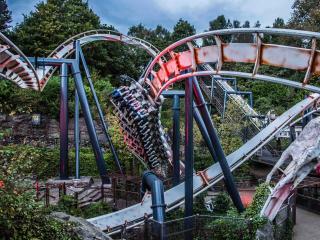 One of Europe’s fastest roller coasters. 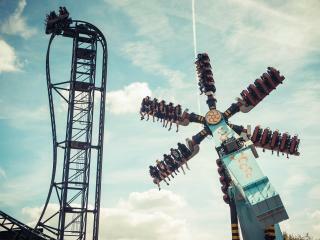 Prepare to be propelled from 0-80mph to 205ft in under 2 seconds and experience the same brake horse power of two Formula 1 cars.. Please note: a chest size limit of 51 inches applies on this attraction. Footwear must be worn. 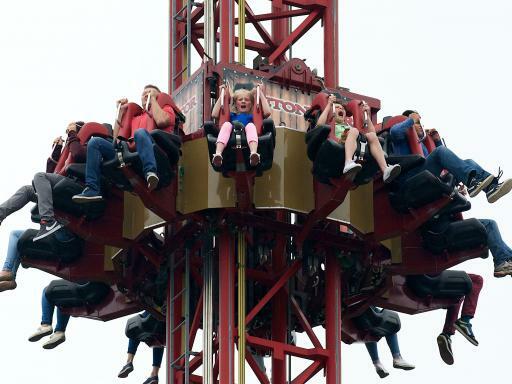 Get a bird’s eye view of the Resort at the top of our 100ft drop tower before plunging back to earth at 50 mph in this exhilarating, faster than free fall ride experience. Please note: a chest size limit of 51 inches applies on this attraction. 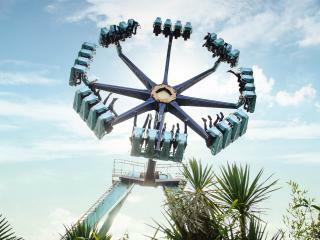 Experience speeds of almost 100km/h and G forces of up to 4.5 as you ride on the wings of THE SWARM, sat either side of the track with nothing above or below you but air! Please note: a chest size limit of 51 inches applies on this attraction. Footwear must be worn. 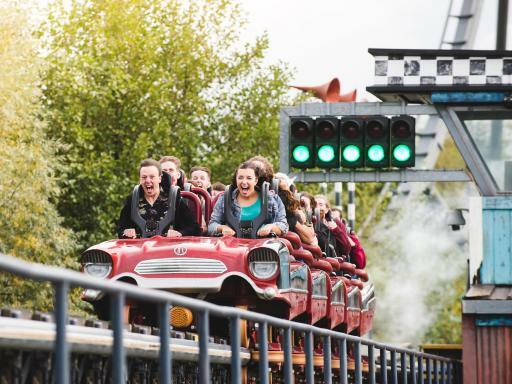 Spin, dive and swoop over 750 metres of twisting track at speeds of up to 50mph to escape the heat of a steaming volcano. Please note: a chest size limit of 51 inches applies on this attraction. Footwear must be worn. 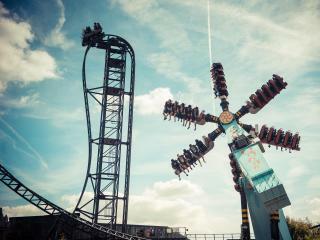 Strap yourself into the mighty mechanical arm of Samurai and you’ll be spun through 360 degrees, creating forces of up to 5G while spinning 60ft above the ground. Footwear must be worn. 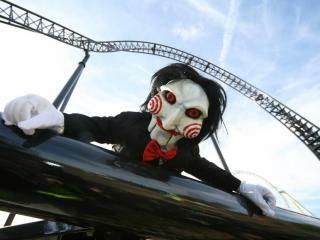 Experience 15 high speed rotations per minute on Vortex, a giant pendulum that spins and swings riders through the air. 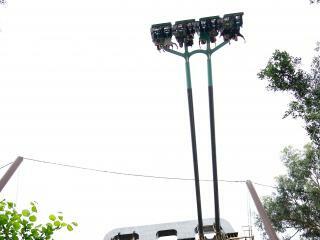 Reach 65ft and experience cyclonic forces on this mechanical giant. Footwear must be worn. 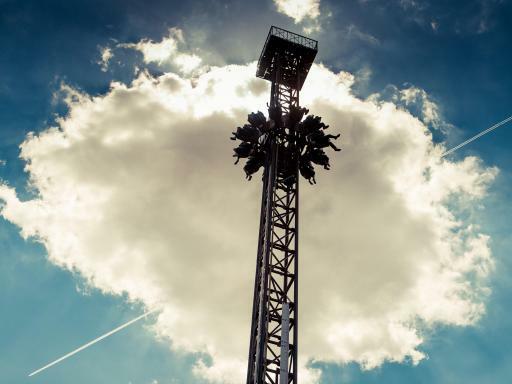 Swing high into the air to 75ft at speeds of up to 50mph and experience the feeling of up to 4G’s as you swoop back towards the ground on our air powered speed swing. Footwear must be worn. 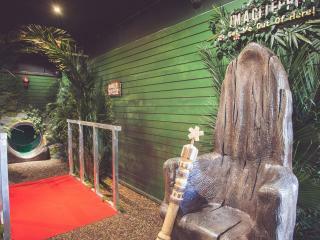 Come face-to-face with the Jungle trials like the Holey Moley and the Chambers of Horror, and remember to save your energy for the Celebrity Cyclone finale! Please note: The I'm a Celebrity... Get Me Out Of Here! Maze will be open on the following dates: April - Monday 1st May 2017, Saturday 27th May – Sunday 4th June 2017 and Friday 30th June – Monday 4th September 2017. 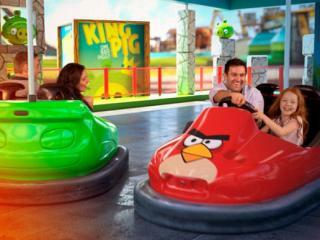 Sit back and enjoy high tech movie theatre surrounding and be part of the action as rumbling chairs catapult you through a fast-paced adventure as the Angry Birds attempt to get their precious eggs back from the King Pig. Minimum Age: Not recommended for anyone under the age of 13, unless accompanied by an adult aged 18 or over. Your road to safety is within reach as you make your way through the compound to reach safety in this live-action outdoor maze. Follow in the footsteps of survivors on your journey to refuge and meet the local residents. But it seems gaining a place at Sanctum isn’t as easy as it seems, you must find food or become food. 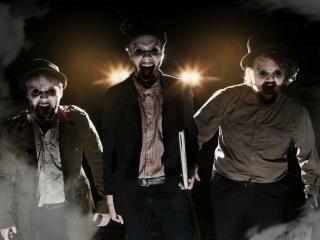 Nightmares become reality as you find yourself with other survivors at the terrifying mercy of the notorious Saviours. On the brink of imminent death, relive the horror of the story so far in THE WALKING DEAD: Living Nightmare. Choose your path and decide your fate, will you escape the clutches of Negan and the Saviours in THE WALKING DEAD: Living Nightmare? All aboard! Take your turn to walk the Island’s deserted railroad in PLATFORM 15. Depart on a one way ticket and trek along the overgrown railway line, the last known route of the vanished locomotive - the notorious Sleeper Express. Don’t lose your tracks and risk disturbing the haunted souls that were once aboard, or you may just experience the same chilling fate. 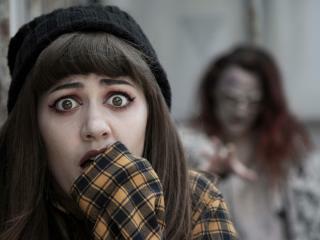 After a year of peace in the cursed Black Hills of Burkitsville, the BLAIR WITCH is back at THORPE PARK Resort. Venture deep into the terrifying wilderness and battle the elements as you fight to take on the evil that lurks beyond the darkness. And remember: never spend the night. Never look in her eyes. Never turn away from the corner. 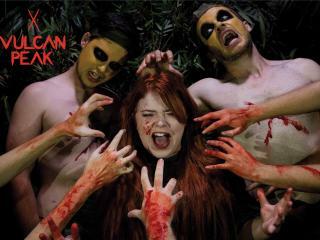 There’s something evil hiding in the woods - dare you enter after night fall? It’s Big Bob’s Homecoming Bash, and the teens of Amity Cove are partying up at Make-Out Point behind the old Speedway. 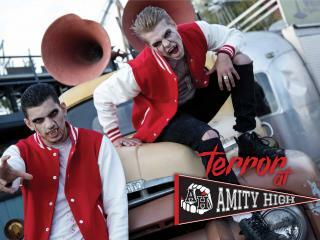 But these are no ordinary highschoolers – they’re always on the lookout for fresh young blood to join their gang and one swift bite to the neck might take you from necking with Cindy the Prom Queen to joining the army of the undead for all eternity! The tribal lords of the Jungle have been summoned and by the Harvest Moon of October their power is strongest. Hooded and marched into the depths of the wild, you must rely on only your most primal instincts to keep your wits about you and make it out with your flesh and bones intact. Will the Jungle gods be merciful or will you be sacrificed to the fires of Vulcan Peak? Guess who’s back to play? 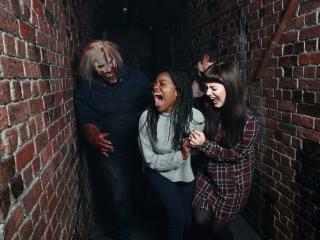 From the twisted minds that created the world’s most terrifying roller coaster SAW - The Ride, comes the world’s most extreme live action maze – now with even more evil for 2018! 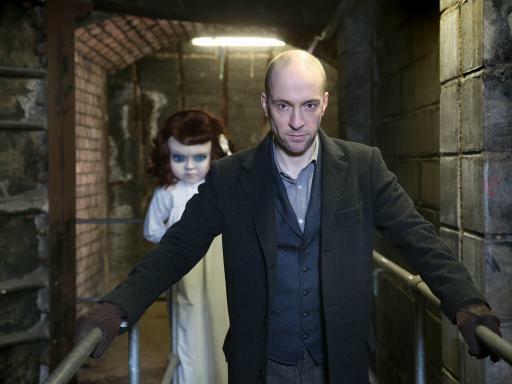 Visitors will come face to face with the sadistic Billy puppet and face his nightmarish games…winding their way through this brilliantly themed multi-roomed maze. After the antics of The Big Top circus’ crazed clowns literally tore their colourful tent to the ground, theFigaro Bros. have to find a new location for their travelling menagerie of torture and despair. This year, the bright lights of the Dome take on a more twisted and sinister glow as the hysterical cast of The Big Top continue their carnival of magic, mystery and mayhem. Your ticket will be uploaded to your customer account up to 72 hours after your booking. 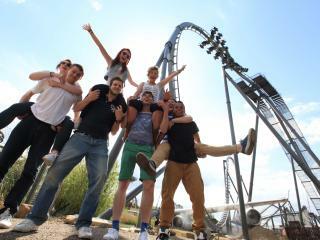 Simply print your ticket and go straight to the gate upon arrival at THORPE PARK Resort. Should you need your ticket sooner than that, please call our customer services team and they will be able to help.